How do you prevent another global financial crisis like the one in 2008? The answer lies in better visibility into the deep connections in risk data. Armed with an understanding of risk data lineage, financial houses could have limited their exposure. A connected data foundation not only streamlines financial risk reporting – it also supports a world of innovative uses of your enterprise data, including 360-degree visibility of your customers, detecting and preventing fraud, proactively assessing credit applications and driving what-if scenarios that improve productivity and profitability. In this series, we describe how connected data helps you gain valuable insights from the relationships hidden in that information. In previous weeks, we explored the connected nature of financial risk and the benefits of creating a risk metadata foundation to streamline compliance and drive business value. In this final post, we’ll discuss the synergy between advances in standard terms for risk reporting and graph databases and highlight innovative applications that Neo4j customers have developed. FIBO is a collaborative effort to define and evolve a set of standard terms for investment instruments, business entities, market data, legal obligations and corporate actions affecting global financial markets. Authored by The Enterprise Data Management Council (EDM), the FIBO ontology has given rise to a series of technical standards governed by the Object Management Group (OMG). 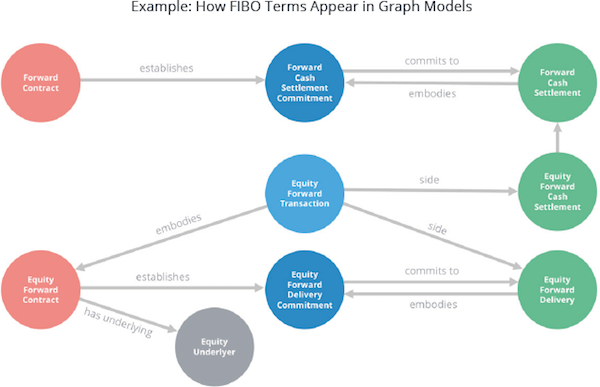 FIBO is a conceptual model that is best represented as a graph ontology, as depicted by the visual below. The flexibility of FIBO and graph technology makes them excellent standards for the ever-changing financial industry. Their extensibility allows them to adapt as financial markets, technology, industry players and regulations evolve. As the FIBO standard spreads across the industry, the pressure on banks to express risk metadata as a graph of standard language is mounting rapidly. Uses the same infrastructure to store risk data lineage as well as governance metadata such as definitions, related terms, etc. As a result, by using Neo4j, you can integrate data governance, compliance reporting and real-time data movement into a single solution that guarantees data consistency across operational and regulatory systems. Bank compliance with risk regulations spans business, financial and legal domains. The Legal Knowledge Interchange Format (LKIF) establishes an ontology and information exchange rules that support SEC regulations, forms, submissions and responses. 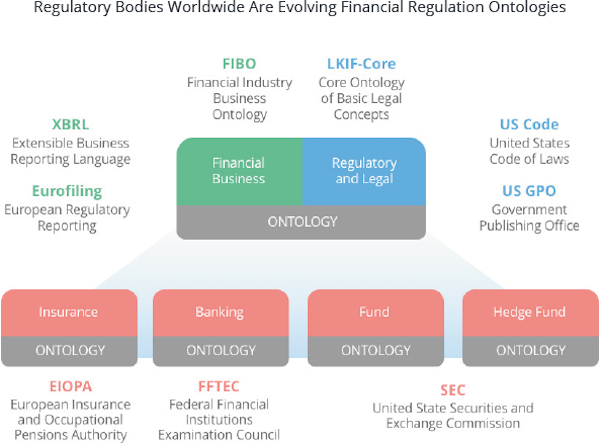 The Financial Regulation Ontology (FRO) is an open-source ontology based on FIBO and LKIF, and consolidates regulations for banking, insurance, funds and hedge funds. Early adopters are utilizing the clarity and flexibility of graph modeling to create an enterprise platform for visualizing, analyzing, reporting and governing financial risk. Neo4j customers have developed innovative graph solutions for addressing the data lineage and metadata management challenges of financial risk reporting. What datasets and attributes do we provide? How are the datasets related? Which consumers are using which attributes? How are users receiving our data? The firm chose to store the metadata model for the knowledge base in Neo4j instead of Oracle. Neo4j’s flexible schema enabled the firm to model all its data flows and rapidly answer questions about how and where its data is used. Given the success realized with Neo4j, the firm plans on widening its coverage of datasets and offering the solution to other parts of the bank. Another leading global financial services firm is using Neo4j to make connections between news events and stock market volatility. Their system predicts potential impacts of news events on stock prices and associated portfolio exposure. Designers of the system sought to answer questions like how a mine explosion that spikes copper prices might affect the stock price of Apple, a heavy user of the metal. The application sends real-time alerts to the phones of money and risk managers who hold Apple shares. “These are people who don’t want to be caught off guard,” says a senior vice president at the bank’s innovation center. The unit contributes a few percent of the bank’s revenue. But bank executives expect that revenue contribution to grow and that the new services can add value even when the bank doesn’t charge for them. “It is my hope that as we digitize the bank we will be more valuable to our customers and we will gain market share,” the CEO said. Forward-looking banks are using BCBS 239 as justification to proactively build federated databases that add centralized metadata control over operational data in existing silos and sources. The new risk-reporting platforms combine graph database technology and financial industry ontologies to address crucial data lineage, latency, visualization and reporting challenges presented by BCBS 239 requirements. 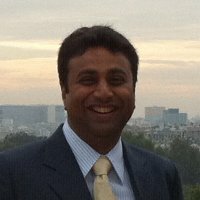 By using Neo4j to address BCBS 239 financial risk reporting requirements, you build a connected data foundation that supports a world of innovative uses of your enterprise data – including 360-degree visibility of your customers, detecting and preventing fraud, proactively assessing credit applications, and driving what-if scenarios that improve productivity and profitability. 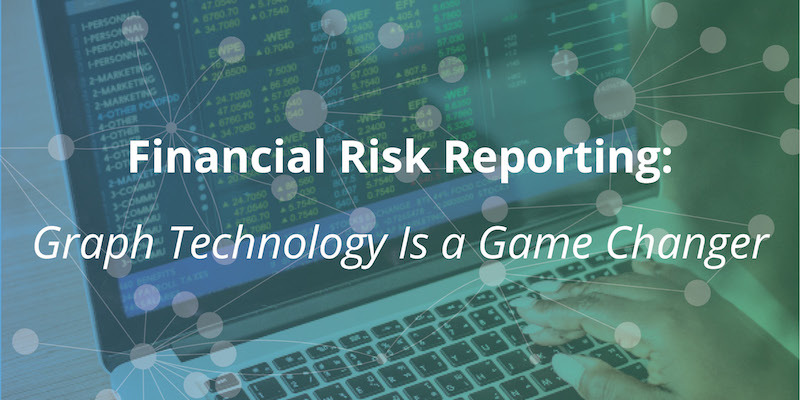 This concludes our series on financial risk reporting. We hope these blogs inspire you to explore how you can make use of connected data to drive game-changing results.